Ritz Nagoya is an amusement casino. Like everywhere else in Japan, you can’t redeem cash but only prizes. It still gives you the opportunity to play poker in Nagoya in an entertaining environment. The Ritz casino Nagoya is located about 5 minutes on foot from the station Sakae. You can enjoy Texas Holdem Poker, and other popular games such as Roulette, Baccarat, Black Jack, Millionaire. The casino is open from 5PM to 11PM on week days and from 1PM to 11PM on weekends. Information about poker tournaments may be found on Ritz Casino’s Facebook Page and their website features a complete calendar on their homepage. 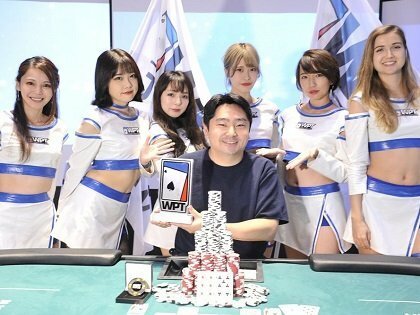 They have Bounty, MegaStack, DeepStructure formats, and events like the Japan Poker Cup. Ritz Casino also has a time charge system, where you are required to tip $30 in chips every hour. They have many offers where you will be given extra $100 in chips in case of rainy days, for ladies, if you paid the parking … and $300 for newcomers.